I’m not sure how you feel about grilled chicken, but let’s face it. Chicken is a blank canvas which is great, but too often the flavor is a little lackluster. Don’t get me wrong, I really like grilled chicken and I’ve rarely met a chicken wing I didn’t love. In fact, I have a life-long love of chickens in general. It started when I was four and lived just up the hill from Carl Gene’s chicken houses. I loved to watch thousands of baby chicks moving together like a yellow sea, unaware they would soon be trucked off to Tyson or Pilgrim’s Pride. The smell was not so great, as I remember. Then, a couple of years later, Carl Gene gave me a three-legged chicken to have as my very own. It ran away not long after and I searched for it for days and days. I was much older when I realized that my three-legged chicken probably died and my grandparents just didn’t want to tell me. 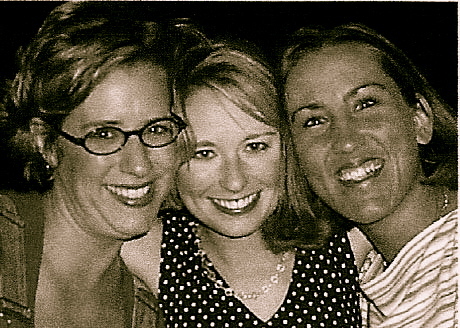 In college, my best girlfriends and I dubbed each other “The Chickens” thanks to our friend Monica. It’s a pet-name that is still going strong today! When Nate hears me say, “What’s up chicken?” he knows I’m talking to Lisa, Heather or Monica. You would think the Chicken stories would stop there, but no. After college I traveled all over Arkansas to rodeos with one of my best friends in the world. Her son had a comedy act called “The Dixie Chick” and, no lie, I couldn’t make this up if I tried … he would hypnotize a chicken! I dare you to look this up on YouTube. It’s real, my friends, and if you were at rodeos throughout Arkansas around 1998, you may have seen us. We were hard to miss … we were traveling with a horse, a dog, two chickens and partridge in a pear tree. 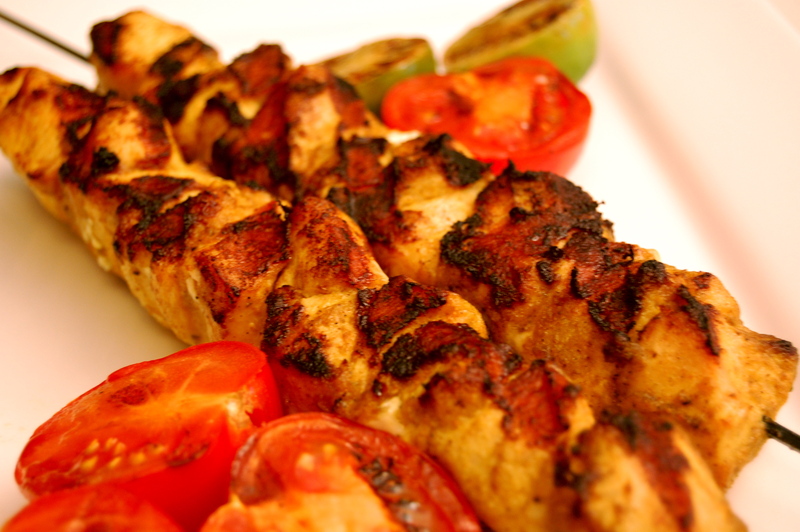 Getting back to the topic of grilled chicken… rarely is the flavor all that memorable to me. That is, until Nate started experimenting with recipes to make grilled chicken stand out. We love this recipe and recently served it at my birthday party. We promised to post the recipe for the guests. And, don’t even act like you didn’t go to YouTube and watch the hypnotized chickens. Directions: Puree all these ingredients in a blender. Cut 2 lbs of boneless skinless chicken breasts into 1-inch chunks. Add the chicken and the marinade to a Ziplock bag and marinate overnight (or several hours) in the refrigerator. 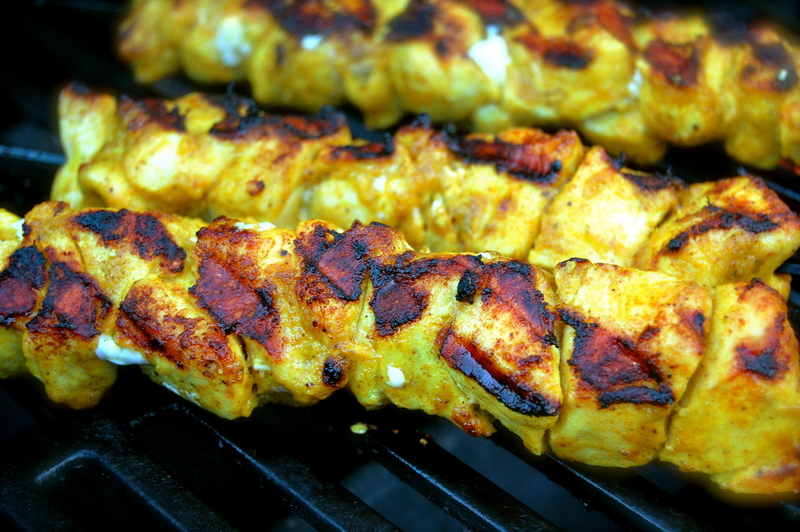 Thread the chicken pieces onto skewers and grill over medium high heat about 8 minutes per side or until cooked through. Just when I thought I knew everything about you along comes this chicken hypnotizing story. Now I’ve heard it all. Although I usually don’t eat chicken, I would give this a try. It looks pretty tasty. How ’bout I come over and have a bite. It’s about time! I’ve been looking at your blog daily patiently awaiting this recipe!!! It’s all Matthew and I could talk about after your bday party. mmmm…. chicken….